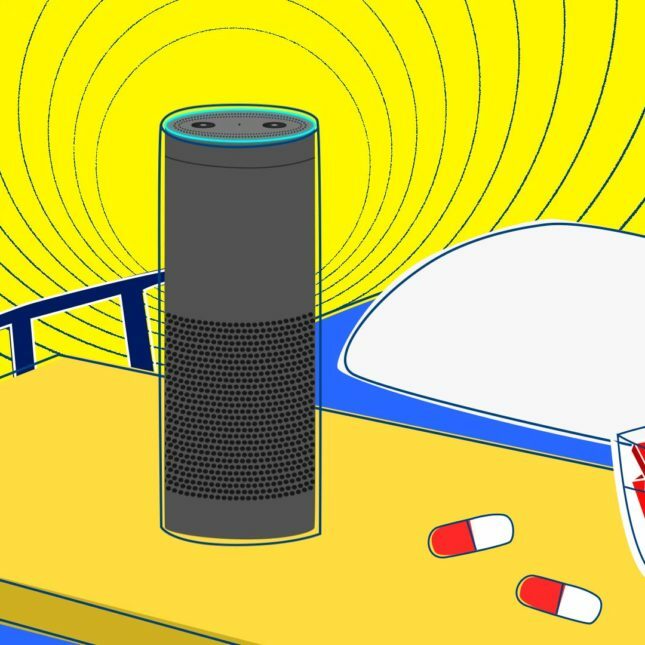 Why do people want to use voice assistants to manage their health? For the same reasons that they use them in other parts of their life. Convenience. It’s often much easier to ask or tell Google Home or Alexa something than it is to open an app and key something in. Empathy. Voice interactions just seem friendlier. In our testing of diabetes type 2 care plans people told us that the voice assistant seemed like she cared. While app interactions can also deliver empathy, the bond with voice seems stronger. Natural. Most healthcare experiences are based on a conversation, especially between patient and provider. Voice avoids the barriers to communication that screens may introduce. Cost-effective. These devices deliver great experiences backed by artificial intelligence to make sense of the content that’s being delivered and are less than half the price of most smartphones, making them cost effective for large deployments or lower income populations. Ubiquitous and unobtrusive. Amazon reports selling over 100 million voice devices1. Voice devices are small and they don’t interfere with other activities either in a patient room or at home. As with any new technology, there is often a learning curve or an experience curve in figuring out what the best use cases are. Often when something is newly introduced it is viewed as the solution for all the clumsy interfaces of the past, and when it doesn’t solve every problem, early adopters are sometimes jaded. By spending some time thinking about use cases, scenarios, and user goals you can design experiences which truly highlight the new technology and go beyond what was possible before. Considering the strengths and the limitations of the interface will help you determine the best patient interactions for voice experiences. These are just a few of the considerations when starting to think about the best types of patient interactions to move to voice. Quick hit. Since we can only remember five things at a time, voice is good for quick hit types of interactions, for example bursts of information rather than explaining complex ideas and complicated medical terms. Daily quick tips on a person’s health or condition management might be the right approach. Responsive. Can your care plan be smart enough to change the interaction based on patient feedback? For example, if a patient expresses concerns about a symptom, can this launch a deeper inquiry into the problem, trigger an alert for the care team, or provide some next steps to the patient? Simply recording that someone had an issue is not “good enough” for a voice assistant. Assume that a conversation will require a multi-turn experience. Medical terms. Training a dictionary of medical terms can be challenging. While there will be pre-trained lexicons you can use, consider using layman’s terms whenever possible to increase comprehension of the voice assistant by the patient, and vice versa. For example, consider enabling the patient to record adherence by saying they took their medication rather than the specific medication name. As with any patient interaction, we always err on the side of usability. You can always follow up to get greater accuracy if there is a concern. Structured or Unstructured. Healthcare data, particularly data collected through surveys, is often highly structured. As a result, often these structured surveys, like patient-reported outcome surveys with Likert scales or 1-10 ratings, are not very well suited for voice interactions. First, people have to keep all the potential answers in their heads while the question finishes, and second, they are often too long and repetitive. This type of structure can sometimes make people think of the dreaded Robocall. On the other hand, less structured data collection might not be considered “validated” like these surveys often are. One way to mitigate this is to use the voice experiences for exploration, for example, “is your knee pain preventing you from doing anything?” or “are you feeling down?”, and if there is cause for concern, then give them the choice of completing a longer structured survey immediately or changing modalities to complete via mobile or web. Interactive care plans are used to help people follow instructions and learn, record experiences, and collect patient-generated data. They are used to help people with acute events like preparing for or recovering from surgery, or to manage a chronic disease. Patients may be experiencing all types of health and other concerns when using these care plans, and these issues also impact how they would want to engage through voice. The following are things to consider specific to the care plan as you layer in voice experiences. What would be the most interesting data point to collect or the most valuable interaction to be able to have with your patient every day? Is telling a voice assistant the most efficient way to collect that data point or is it easier or more accurate to collect it another way? Remember, though, that people may not want to say sensitive information out loud. When we tested the Sugarpod concept for our voice-powered scale and foot scanner, not everyone was happy it announced the person’s weight. Recording whether you had a bowel movement after surgery is another area that might be better done through a mobile or web interface. 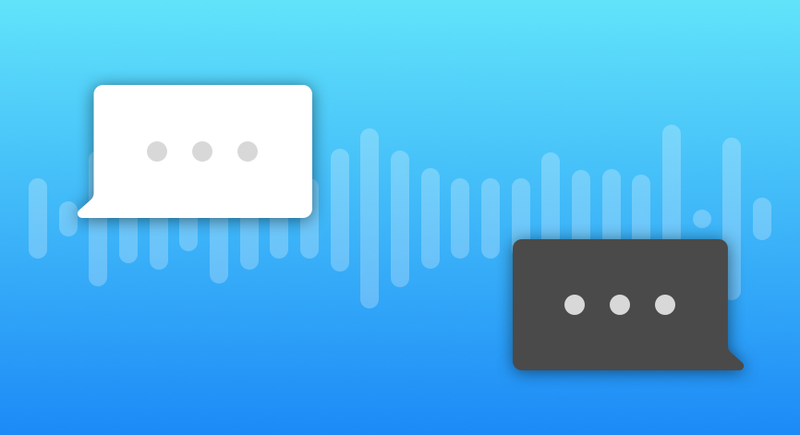 Is there something about the care plan or the patient that makes voice a more natural interface, or something that makes it more difficult? While people often have their phones with them 24/7, if you think about someone with mobility problems, like after surgery, telling Alexa about their experience or asking Alexa might be easier than finding the device and keying in your response. As well, voice for simple follow up surveys, possibly replacing or automating what was done in a post-surgical check-in call, could also be valuable. At Wellpepper, a popular scenario for care plans is a headache management diary. Often people record their diary entries a few days later than the onset of a headache, because in the depths of a migraine, looking at a screen is painful. However, simply telling a voice assistant you have a headache can create journal entry that you can add more detail to later when the headache has passed. On the other hand, a care plan we developed for a customer to help track recovery from thoracic surgery is not a good candidate for voice interactions until a few months after surgery. How long will someone interact? At Wellpepper we’ve learned from our data on interactive care plans that between five and eight tasks in a mobile or web care plan is the optimal number to encourage patient adherence. Given that voice interactions are often short queries or commands, consider what is the optimal length before someone will become tired answering questions, listening to educational information, or telling the voice assistant their vital signs like blood sugar or blood pressure. 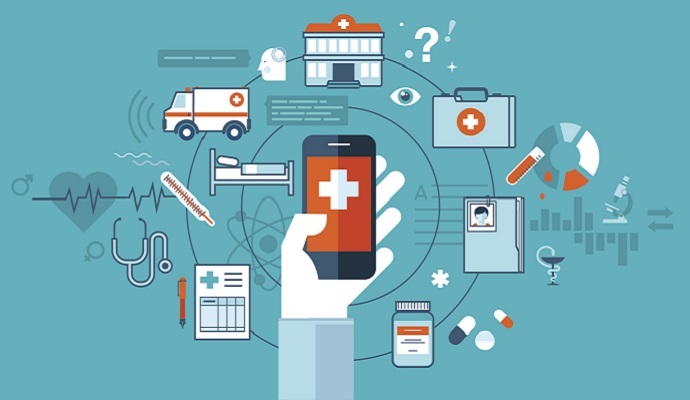 In addition to considerations specific to developing care plans and choosing the right scenarios, other things you may want to think about before starting development are identity management, fidelity of data collection, and intent versus actuals. How will you identify who is speaking? 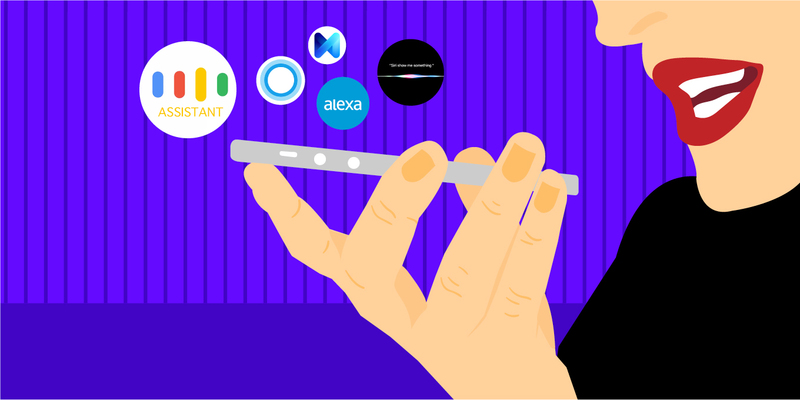 Many voice assistant devices are shared within a family. Does someone need to sign in using a voice pin before interacting with the care plan? While data security and identity verification is important, continually requiring authentication can decrease usage and usability. Imagine a system that proactively sends medication reminders that requires you to login or otherwise identify yourself before hearing what the reminder is. This would very quickly become frustrating and unusable. Voice recognition may be the eventual solution to this problem, but in the meantime, the standard password rules that your IT department enforces for patient portals may not apply for voice identity. 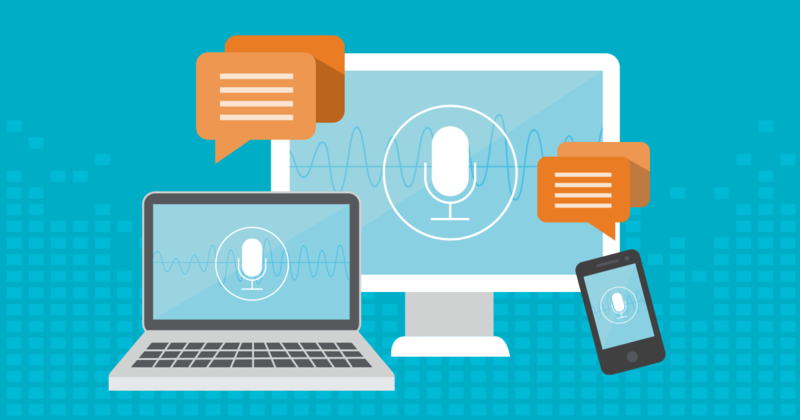 Will you use voice-only or will you enable interactions through voice and mobile, web, or other interfaces? At Wellpepper, we take a “voice and” approach to determine the best possible experience and delivery for the patient. 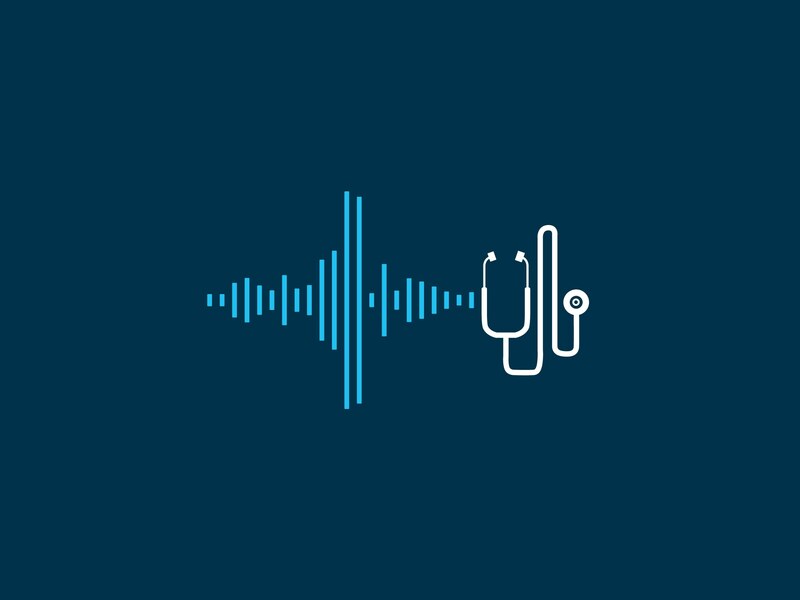 Sometimes this will result in a “voice-first” care plan, sometimes it will be a mobile-first care plan, and most often a combination of modalities based on what the patient needs to do, how they need to do it, and where they are. If you choose to use different modalities, how important is fidelity between data collection between voice and other modes of collection? The style of questioning and content delivery for voice is different and more open ended than what you might accomplish asking questions via an app or web. For example, on the web you might have someone choose from a list of symptoms after surgery. A more natural voice interaction would be to ask whether the person has concerns, and possibly prompt to narrow them down, but not necessarily provide a list which may be hard to comprehend. However, if you’re using some of the data collected for outcome scores, the way it’s collected may be an issue. As well, depending on the system, you most likely will get an indication of the intent, but not the actual language used by the patient. Consider how important this is to you. We like to take the approach that getting patients to engage and getting the data flowing is more important. You can always clarify later through a different method, even by talking to the patient directly. While there are many considerations and very high expectations for voice-enabled care plans, based on the feedback we’ve seen from people using beta versions of Wellpepper voice care plans they hold great promise for patient engagement, adherence, and ultimately better outcomes. The most important consideration for developing voice-enabled care plans is this: Can you delight the user and make it a better experience than how they may have previously engaged? Wellpepper is an award-winning and clinically-validated patient engagement platform used by major health systems to improve outcomes and lower costs of care. Our interactive care plans help patients self-manage and connect to care for chronic and acute conditions with over 70% patient engagement. Patient experiences are delivered through mobile, web, SMS, email, and voice modalities. Benefits include improved patient outcomes and experience, lower costs, and increased access to care. Wellpepper has been validated to improve patient outcomes and adherence in clinical studies conducted by Boston University and Harvard.